The French Press, also called a coffee press, press pot, coffee plunger, or cafetiere, is becoming increasingly popular in the world of coffee brewing. This machine is simple, easy to use and helps in producing great-tasting coffee. It has many advantages over the standard drip coffee maker, yet is more affordable and easier to obtain. To achieve superior coffee taste and quality, the first step is to find the best French Press on the market. This can be quite challenging due to the overwhelming number of products available. By knowing what to look for and what features to consider when buying, your search will be a more successful one. If we had to pick a single French press coffee maker that excels in all categories and still comes in at a reasonable price point, this fantastic glass cafetière from Bodum takes the prize. Put simply, coffee maintains its heat better throughout the brewing process in a glass carafe. Also, you can keep your eye on proceedings rendering your coffee making a highly visual experience. Crafted from heat-resistant borosilicate glass offset with rugged stainless steel, you don’t need to worry about a tiny impact shattering the carafe either. Plastic only makes an appearance on the upper lip so you won’t get any taint in your drink. If you have a tea-lover in the house, this French press is great for a range of infusions beyond freshly ground coffee. Cleaning is a breeze and the only maintenance required is to occasionally replace the stainless steel mesh screens. You’ll even get a couple thrown in which is surprising at this price point. The Bodum CHAMBORD gets our vote for the best overall French press. 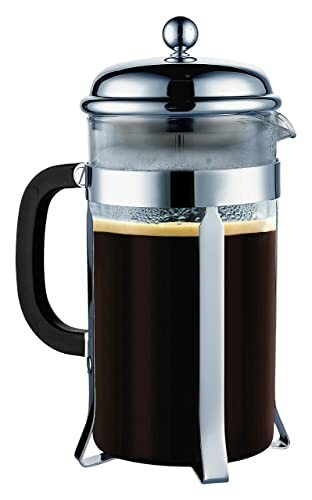 Choosing second place was tough but we opted for this strikingly designed borosilicate glass French press from the highly reputable KONA after much consideration. The curving, modernist outer shell is not simply a case of form over function. Sure, it looks great on the counter top but the plastic casing neatly protects the glass allowing you to enjoy the purity of a glass carafe without any concerns about accidental breakage. The 3-part stainless steel infuser system eliminates the usual plastic components that often end up breaking and can also spoil the taste of your fresh coffee. With this filtration in place, you can enjoy superior quality alongside added durability. While cleaning glass carafes is normally straightforward enough, the added bonus with the KONA is being able to safely pop it in the dishwasher for further ease. The screen system detaches to simplify this. If you prefer tea or even iced beverages, the KONA is an adaptable carafe perfect for all types of hot or cold infusions. If, as we suspect, you’re a coffee hound, the fabulous filtration and glass carafe combine to ensure you get that golden cup every time. And the best news? It’s incredibly cheap too! While it should be clear by now we prefer glass French presses, we try to include something for everyone here at Fourth Estate. To this end, our worthy second runner-up spot for the best French press goes to a stainless steel affair from Secura. The obvious advantage of a metal carafe is that it will withstand far more punishment than a glass alternative. Knock it or drop it, the Secura won’t end up shattering and spilling steaming coffee everywhere. But stainless steel gets hot, right? It does indeed, but there’s a cool touch knob and handle on this coffee maker so you can safely take care of business while your drink remains insulated. If you like the finer grind essential for that morning espresso, you’ll be able to stack up the screens on this French press to get a wonderfully smooth short coffee. The screens are very easy to clean and you get one included to save you a few bucks. You can clean the Secura by hand or slip it in the dishwasher so maintenance is kept to an absolute minimum. 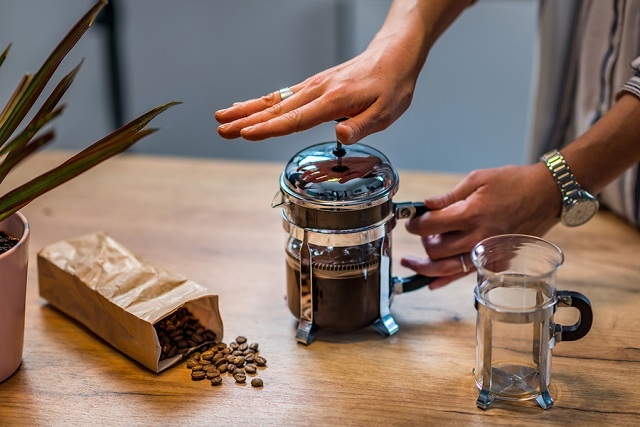 With its double-walled construction, triple-layered filter and robust 1-liter capacity, all at an attractive price point, the Secura fully deserves its bronze medal in our look at the best French press on the market. There is no shortage whatsoever of cheap French press coffee makers but, sadly, most are woefully unfit for purpose and likely to give up the ghost after a month or two. 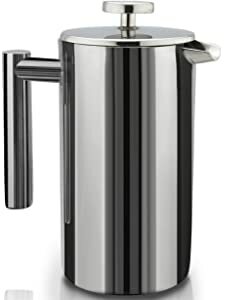 Bodum have a hard-won reputation for producing top-notch coffee equipment and accessories at very low cost The BRAZIL coffee maker is no exception and we nominate this cafetière the best budget French press. The carafe is borosilicate glass while the base and handle come in a choice of 3 colors of BPA-free plastic. The 3-piece plunger and filter assembly is made from stainless steel for maximum longevity. You get incredibly solid build quality with the Bodum and you’ll be wondering just how it’s so cheap. You can choose between a 34oz or 51oz carafe. The small Bodum is easy to carry around if you need coffee on the road while the larger model makes 8 decent cups so it’s ideal for a larger family. The fine filter mesh means there will be nasty sediment to ruin your morning coffee fix and the plates hold everything together a treat. If you want a top-notch cup of fresh coffee in just 4 minutes without needing to hit the coffee shop or buy an expensive coffee maker, check out the Bodum BRAZIL at your earliest convenience. Most of us lead extremely busy lives and regular travel is now commonplace. If you spend a lot of time away from home, whether for work or pleasure, and you’re not prepared to forego your fresh coffee fix, the best travel press is invaluable. Another classic from Bodum, you have a choice of configurations. Firstly, opt for double-walled stainless steel or BPA-free acrylic then decide whether you’d like the accompanying flashes of color to be black, white, red or green. These bright silicone grips are designed to have plenty of traction so you won’t end up with the carafe slipping from your hand while on the move. The 2-in-1 functionality of the Bodum is a real winner. You can use it as a conventional French press but it also serves as a travel mug that will keep your beverage hot for as long as you need it. The vacuum seal keep your drink piping hot while the container itself is cool to the touch for the double-win. The spill-resistant cap completes this winning travel package. For anyone constantly on the go and not willing to dip out on their caffeine fix, the Bodum is the smart choice. While the Frieling is inarguably an excellent French press, it’s priced a little steeply and, as you know, we favor glass carafes over stainless steel. Again, that’s a matter of taste so feel free to explore the Frieling if you don’t mind a metal cafetière. Our choice for the best high-end French press – mercifully still amazingly affordable – is once again the SterlingPro outlined above. With its bumper capacity, mixture of borosilicate glass and stainless steel, top-tier filtration, and outstanding brand heritage, the SterlingPro is our go-to French press if money is no object. If you’re looking for a top-notch French press kit to ensure your coffee stays piping hot, you’re in for a treat thanks to Coffee Gator. With a choice of 3 attractive color schemes, this surgical-grade stainless steel cafetière is designed to keep your coffee roasting hot for much longer than a glass alternative. There’s a nifty little storage container thrown in so you can keep a stash of coffee close to hand and make sure it stays as fresh as the drink in your cafetière. Also, once you buy the Coffee Gator, you’ll receive an e-book which serves up some tips for making the ideal cup of coffee. As if this wasn’t enough, Coffee Gator offers a full money-back guarantee. If you’re not completely satisfied, simply claim a full refund. For a rugged and sleek French press that will stand up to some tough punishment while keeping your coffee piping hot, you simply can’t go wrong with the Coffee Gator. The SterlingPro Double Wall French Press has 1-liter brewing capacity, which can produce around 4 mugs or 8 cups of coffee. This is a durable and elegant-looking French press, which promises to fulfill your daily coffee needs. Both the interior and exterior are made of durable 18/10 stainless steel that is rust-proof and dishwasher-safe. The double-wall insulation design keeps your coffee warm for a longer time, while the outside remains cool enough to touch. It also has a stylish mirror finish, making it an ideal gift for weddings, birthdays and house warming. This machine uses double-screen filter system to ensure that no coffee ground ever finds its place in your mug. The second screen filters the tiny granules that escape through the primary screen. It also presses the primary screen so that it touches the wall more evenly and tightly. This brewing method results to rich-tasting coffee, leaving no traces of grounds in the mouth. Further, the SterlingPro double-wall French press contains no plastic parts and comes with 2 extra mesh screens. 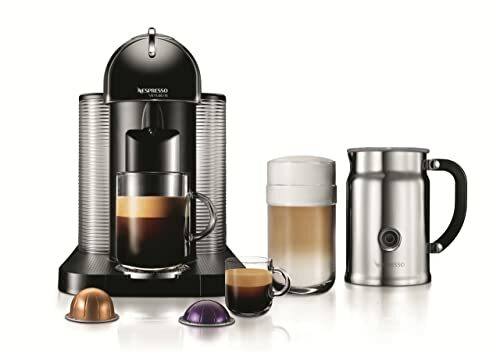 It employs an exclusive double-screen system, which filters tiny coffee grounds, delivering a more satisfying coffee experience each time. Does not come with plastic components. The part, which connects the filter plunger to the center shaft appears to be fragile. The stainless steel tends to produce powder when the plunger scrapes the wall. That powder can be dangerous if ingested. The carafe does not have measurement markings, making the process of gauging the water level somewhat tricky. The Kitchen Supreme French Press is made of strong and heat-resistant Double German glass, delivering extreme durability and endurance. It offers pure and perfect extraction of the coffee’s subtle flavors and essential oils to produce superior coffee taste. The 4-screen filters are intended to suit each type of coffee grounds. It makes creamy, foamy, pure and velvety coffee. You can also use the exclusive stainless steel plunger system as a tea infuser. 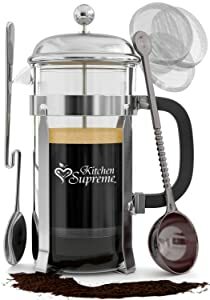 This French Press works great not only for hot coffees and teas, but also for iced tea, hot chocolate, frothed milk, almond milk, fruit infusions, lemonades, plant tinctures, cashew milk, rinse quinoa, and more. The machine is backed with a 5-year warranty. Offers a superior bundle with tea, espresso and coffee maker. Complete with all the utensils you need to make great-tasting coffee and other beverages. The lid and the carafe itself are made of durable Double German glass. 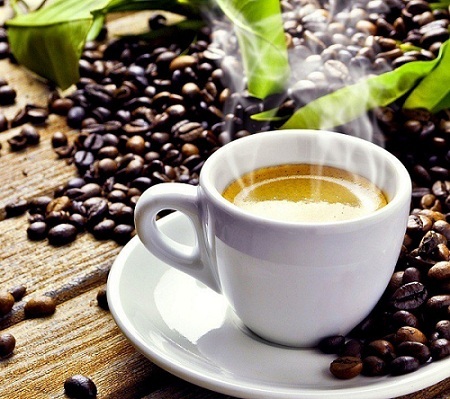 The brewing process completely extracts the essential oils and flavors from the coffee grounds. The 4-filter system enhances your coffee experience by providing different types of coffee texture. This is a versatile French press as you can use it to make virtually all kinds of hot and cold beverages. The glass of the French press seems to be too thin, thus may break easily if not handled properly. It doesn’t have a rubber seal like other presses do, so the coffee grounds tend to slip right through. The product is not that resistant to extreme temperatures. Bodum are legends in the coffee maker space and with just cause. The Columbia is an expensive but exquisite French press that’s impeccably designed but doesn’t suffer from form over function. If you’re a tea lover, the Bodum lets you make this in addition to coffee. This goes some way toward mitigating the high price. Thanks to a triple-parted plunger and a mesh filter, if you’re making coffee you’ll enjoy the drink at its very best. Stainless steel and with the requisite double walls, your tea or coffee will stay nicely drinkable for a couple of hours which trumps the performance of most of the competition. This cafetière is available in 17oz, 34oz or 51oz variants. In addition to its superb functionality, the Bodum wouldn’t look out of place in a design museum. The curved pot will set off any kitchen counter like a dream. Check one out today and you will not be disappointed. Read More: Latte, Cappuccino, Flat White, Macchiato and Mocha: What's The Difference? A French Press offers the most ideal way to enjoy your coffee. In comparison to traditional drip machines, it offers more valuable benefits, such as the following. No Filters - Drip-style coffee makers use paper filters that tend to remove the essential oils in the coffee and reduce the richness of its flavor. A French Press does not use such filter and ensures all of the coffee’s essential oils are completely extracted and contained in the finished product. Drip machines also result to more acidity since the essence of the coffee has been reduced. Temperature Control - A French Press employs a simple heating process, which heats water quickly and correctly before it passes into the chamber. Since water is heated separately, you can easily control its temperature to preserve good coffee quality. Coffee Strength - A French Press brews coffee naturally. The grounds and hot water sit in the machine without interference, allowing the flavors and oils of the beans to blend with the water completely. It also offers different brewing times, so you can steep your coffee for as briefly or as long as you desire. Simple Brewing Process - Brewing coffee is easier with a French Press because it only involves pouring the grounds into the pot and covering them as they steep in hot water. Drip coffee makers require sizing a filter, placing grounds in the filter, filling up a reservoir, and waiting for several minutes as the machine cycles through a number of stages. Easy to Clean - A French Press is usually a basic glass or stainless steel cylinder, which is easy to clean and maintain. It comprises simple, removable parts that require minimal time and effort to wash. With drip machines, cleaning is more demanding because the water reservoir is tough to reach into. Construction - Stainless steel, glass, ceramic and plastic are the most common construction materials used in making a French Press. Stainless steel is non-reactive, offers excellent heat retention and does not confer a metallic taste to the coffee. Glass helps users in gauging brewing strength and is noted for its elegant design and ease of use. Ceramic French presses offer durability and can hold temperatures well, while plastic is favored for its affordability. However, many people tend to shy away from plastic products for fear of chemicals leaking into the brew. Capacity - A full-size French Press can typically produce a full cup of coffee. If you wish to make multiple cups at one brewing, choose a press with a more generous capacity and allows you to brew enough coffee for several drinkers. Since most French Press carafes don’t employ warming methods, it is important to consider the natural heat retention of the product you’re buying. A French Press with a large capacity won’t be of much value if it cannot keep the beverage hot for a reasonable amount of time. Ease of Use - French Presses don’t rely on complicated mechanisms or electricity to function, but they have delicate moving components that require minute maintenance. Any tear or damage to the assembly parts may result to the grounds escaping into the end product. Many French Presses have unique features that reduce the likelihood of coffee grounds skipping the filtering process, making the finished product as pure and smooth as possible. Models that are dishwasher-safe and come with easily dismantled filter and plunger assemblies are the best choices. Price - There is no considerable difference in the quality of the finished product produced by low-end and high-end models. However, price becomes a main consideration where durability, reliability, construction and ease of operation are concerned. In general, high-priced French Press coffee makers offer a more solid construction and better heat retention, while budget-priced models tend to focus on serving size variations and enhanced visibility during the coffee-brewing process. 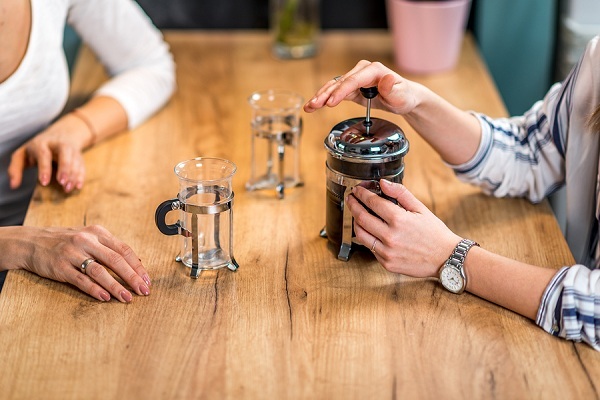 Warranty - When buying a French Press, make sure it comes with a manufacturer’s warranty that should cover you in case there are issues with the plunger or lid, defects in the carafe, or other damages that will make the product unusable. Remove the plunger and rinse it with warm or hot water. 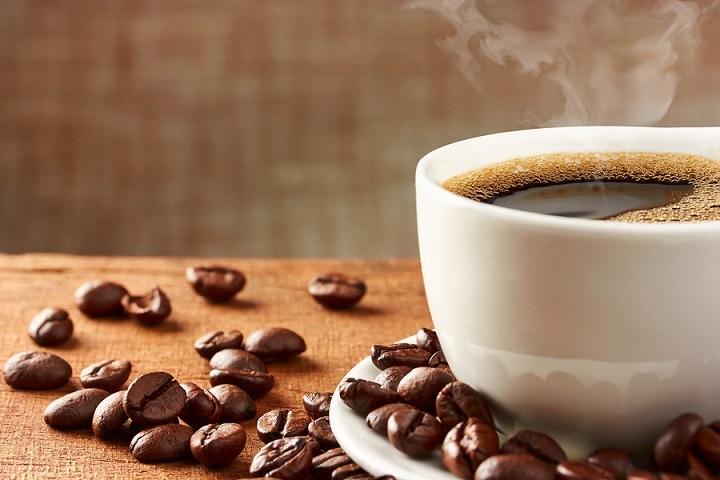 To keep the coffee hot a bit longer, pour hot water into the coffee pot and cups before actually using them. Let sit for a few minutes and remove hot water. Add 2 rounded tablespoons of grounds for every 8 oz. of hot (not boiling) water. You will notice that most of the grounds float at this point. Stir the water gently with a wooden or plastic spoon to sink the grounds. Place the plunger back on the press and twist the lid to prevent the steam from escaping. Do not push the plunger down. Allow the coffee to brew for four minutes. Slowly lower the plunge to push the grounds to the bottom of the cylinder. Once the plunger is pushed all the way down, open the lid and pour the brewed coffee into your cup. Add sugar and creamer as you wish and enjoy. Remember to pour the entire content into another container(s) as it will keep brewing if you let it sit in the pot. 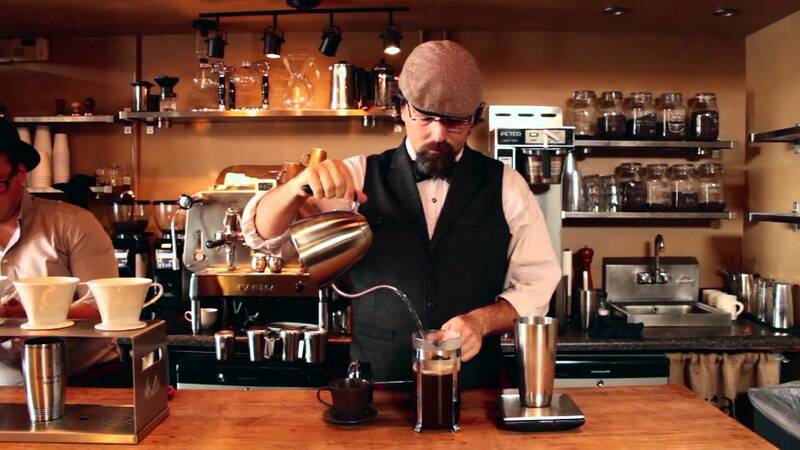 All of the French Press coffee makers described above are worth trying. All of them have impressive features and are capable of producing rich-tasting coffee. However, with all things considered, the SterlingPro French Coffee Press appears to be the best among the bunch. It has all the qualities that make the best French Press - durable, well-insulated, easy to use, uses efficient filtration method, and has good brewing capacity. You can even bring anywhere. Be sure to clean your French Press after every use to improve its longevity. Follow proper maintenance and storage practices, and always handle your coffee makers with extra care. Happy brewing! The SterlingPro French Coffee Press appears to be the best among the bunch. It has all the qualities that make the best French Press – durable, well-insulated, easy to use, uses efficient filtration method, and has good brewing capacity. You can even bring anywhere.